It’s been almost five years since Sarah Simmons wowed her way onto the NBC reality show, The Voice. Audiences reacted strongly to Sarah’s six octave range and her uncanny ability to adapt to practically any genre of music. Though she didn’t win, the exposure has been its own reward and her first full-length album, Freedom, released August 2016. Simmons’ new album showcases her pop sensibilities, along with her modern rock influences. Produced by Nashville pro Marshall Altman (Amy Grant, Eric Paslay, Frankie Ballard, Citizen Cope) at House of Blues Studio A, Sarah wrote or co-wrote nearly all of the material. Standout tracks include the hook-laden Souther rocker, “Honey I’m Fine,” and the anthemic closer “Staring At The Sun,” written over the tragic death of her friend. Sarah also made a music video for the song, “Staring At The Sun,” featuring native American actor, Wes Studi. Throughout Freedom, Simmons proves she can deliver vocal thrills like Ann Wilson, down home grit like Grace Potter and soul like Janis Joplin, all with vulnerability and Southern charm. She has released singles after the album and will be continuing to release music this year. Born and raised in Birmingham, Alabama, Sarah recalls watching classic musical movies with her grandmother who loved the jazz finesse of Billie Holiday and Ella Fitzgerald. Her Dad plied Sarah with classic rock of Jimi Hendrix, Neil Young, and Led Zeppelin. Worship and inspirational music also impacted the future singer, especially as a young child singing along with her mother and sister in the car. Sarah was also heavily involved in acting and musical theater. The end result was “all kinds of music at a young age that I came to respect and love,” she says. Later in college, she befriended a fellow student who told her about a television show called The Voice. One of the most impressive finalists on the show, Sarah made it to top six in 2013. Since then, she’s been hard at work, signing with song-licensing company, Cutting Edge Group for a couple of her most recent un-released songs, and has been co-writing with film composer Deborah Lurie (Safe Have, Footloose, Dear John), Scott Smith (The Revenant, World War Z), and Lucas Cantor (Hunger Games, music for the Olympics). Also, a film producer, Marty Bowen has been a big part and support of Sarah’s career. Sarah and her band started off their tour opening up for the band The White Buffalo (Sons of Anarchy, Longmire), and were on tour last year for almost 9 months and are continuing more shows in the future. The band has its main players and this year has added a horn section; completing the band with 7 members. One of Sarah’s biggest pursuits is to sing for film and television. Ever since she was 12 years old and heard Lisa Gerrard’s voice on The Gladiator she always knew that was one of her life missions. Sarah writes and records daily all different genre’s of music towards film and television. Another one of Sarah's biggest passions is also giving back. She loves teaching vocal lessons, songwriting, artist development and more. These days Sarah devotes her time to writing and recording original music, teaching, and vocal producing. 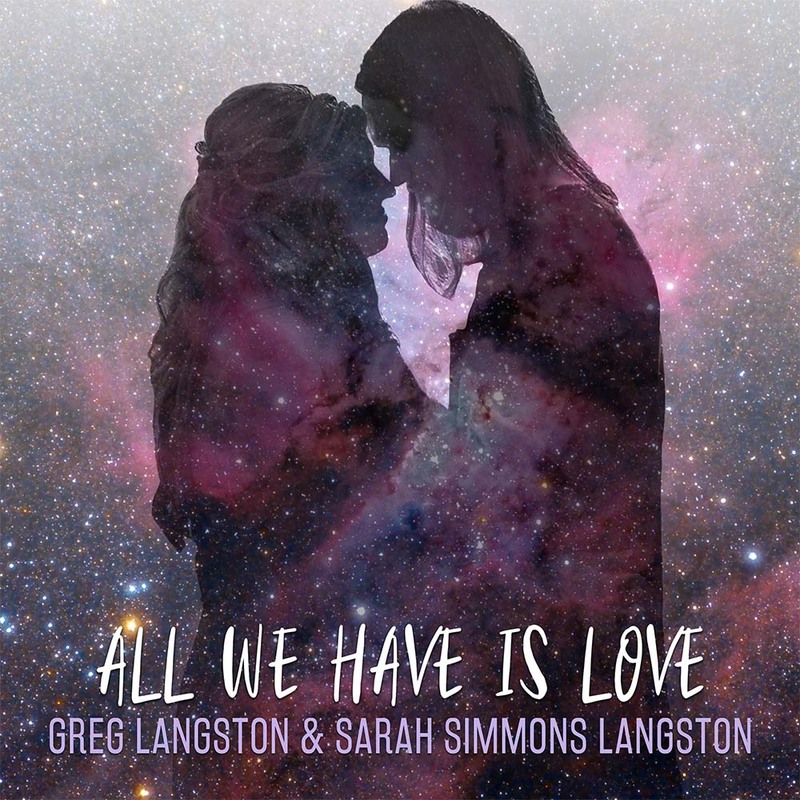 In 2018, Sarah and her husband, Greg, built their home studio, Langston Studios, and continue to create an atmosphere for all artists to follow their dreams of recording music. sarah simmons on the voice "wild horses"
SARAH SIMMONS ON THE VOICE "THE STORY"